Our client was a baggage handler at Los Angeles International Airport. He was also a photography enthusiast who actively bought and sold camera equipment online. His wife was a “garage sale junkie” and hoarder. 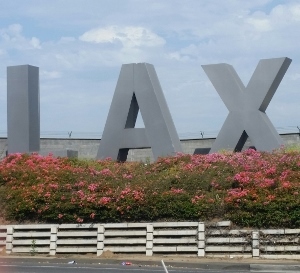 In a Nutshell: Client, an LAX baggage handler, accused of felony receiving stolen property after police find over 350 allegedly stolen, case resolved for one count, 1 year house arrest, and items returned to client. This husband and wife accumulated an enormous stash of used, but expensive nevertheless, camera lenses, cameras, lens filters, camera memory cards, expensive shoes, wrist watches and luggage. There was no doubt that some of the items our client’s wife acquired at garage sales, such as Coach suitcases and purses, was likely counterfeit or stolen. Our client had also been periodically, but methodically, refinancing his home and pulling out equity, cashing home equity lines of equity checks. Therefore, he had a large amount of cash. Los Angeles Airport Police always receive reports of stolen and damaged luggage, including the contents thereof. It is well known that sometimes, such claims are fraudulent and meant for making insurance claims only. Other times, the claims are truthful. Somehow, our client was identified as a person of interest and a search warrant was served on our client’s home. It was believed that our client was selling stolen numerous items on eBay, Amazon and Craigslist using a web of aliases and PayPal accounts. Indeed, our client was selling photography equipment, but not stolen equipment. Police must have thought that they had hit a gold mine when they found over 350 items at the home, including over $100,000 in cash. It was staggering. The discovery was proudly announced by the police in many newspapers and on the evening news. Our client first hired another attorney, who negotiated a plea to one count of receiving stolen property and one year of county jail. The client then hired Greg Hill & Associates to get a court order to return the items. Greg noticed that the plea was specific to just one camera lens that ironically was not even found in our client’s possession. This was a critical flaw in the plea from the prosecution’s perspective and the judge so agreed. However, the police were extremely reluctant to agree with the prosecutor to stipulate to an order returning most items to our client. The police believed – and they were probably correct –that the judge would not believe the items seized were honestly acquired, no doubt to the high number of items found. Therefore, no judge would order the items returned. However, in the course of trying to negotiate a stipulated order, Greg was able to have the police release one laptop computer to the client. This was an important break in the case, as the client turned on the computer and was able to download and print out over 50 receipts from different vendors showing some of the most expensive items were legitimately acquired. Greg then argued that if over 50 expensive watches (including Cartier and Rolex) and lenses and pieces of luggage were honestly acquired, it was conceivable that our client’s claim that all were honestly acquired was credible. The client had kept such records due to a move he made years earlier from one city to another and was concerned his property would be lost during the move. The police responded that all such receipts were probably created using Photoshop on a computer, but the district attorney recognized that the judge probably would not understand such a rebuttal argument. After nearly 18 months of haggling, with multiple meetings with the police at the district attorney’s offices to discuss the case, the district attorney finally agreed to return all items our client demanded, including the cash. It was justice. What Is Receiving Stolen Property (Penal Code § 496)? What Is House Arrest As an Alternative to Jail? For more information about theft and robbery crimes, please click here to watch our theft offenses video.